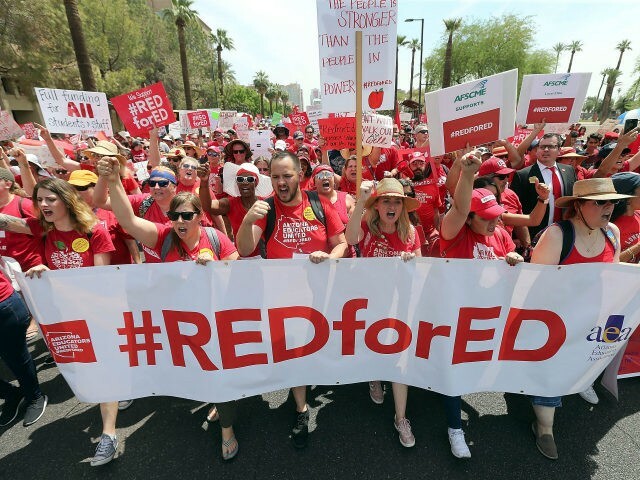 The #RedforEd movement is now targeting the state of Maine, where teachers plan to converge on the state capital of Augusta on April 17 to support the passage of a bill that would grant them the right to strike. MEA’s #RedforEd Day at the State House is a perfect opportunity to show our collective strength and push for legislation that will directly impact our students, schools and professions. We are planning many events that day and hope to have a sea of red at the State House. Currently, many states, including California, provide teachers with the right to strike, while in many other states, including Tennessee, it is illegal for teachers to strike. Teachers’ unions and free market advocates disagree on exactly how many states prohibit teachers from striking legally. Maine gives two electoral college votes to the winner of the statewide vote and one electoral college vote to the winner in each of the state’s two congressional districts. In 2016, Hillary Clinton won the statewide vote by a 53 percent to 47 percent margin and won the votes in the Second Congressional District by a 54 percent to 46 percent margin. Donald Trump won the votes in the First Congressional District by a 52 percent to 48 percent margin. The 2020 outlook in Maine is clouded by the recent adoption of the controversial “ranked voting” system in which the person who earns the most votes in a federal election could actually lose the election due to a complicated ranking system in races with more than two candidates. Secretary of State [Matt] Dunlap, a Democrat, declared Democrat Jared Golden the winner of the election on November 15, despite the fact that Rep. Bruce Poliquin (R-ME-02) received 2,632 more votes than Golden on election day, a consequence of the state’s implementation of a controversial “rank voting” system. Maine lawmakers are considering legislation that would expand their current ranked-choice voting system to presidential elections. The bill, which is currently being debated in the state house and had its first public hearing on Wednesday, would allow voters to cast a ballot for a preferred candidate and rank the additional candidates on the ballot in order of their choosing in presidential primary and general elections. Should the Maine Education Association succeed in persuading the Maine state legislature to pass legislation granting teachers the right to strike, the state’s Democrat Gov. Janet Mills is expected to sign it into law. If Maine teachers secure the legal right to strike, it could become a significant political weapon with the potential to impact the outcome of the 2020 presidential election in the state.